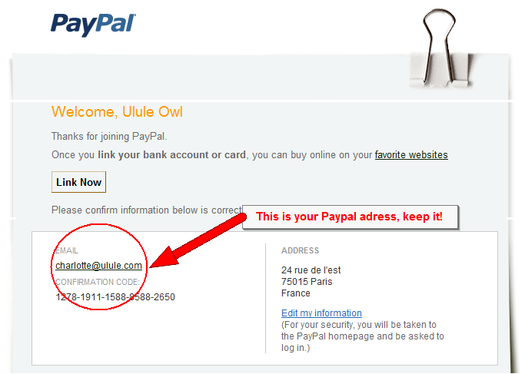 We have received several questions about how Paypal functions on Ulule: where should I fill in my Paypal address? Which address should I use? How do you activate a Premier or Business account? Here are the answers, with plenty of illustrations so you don’t get confused. This is the first stage. 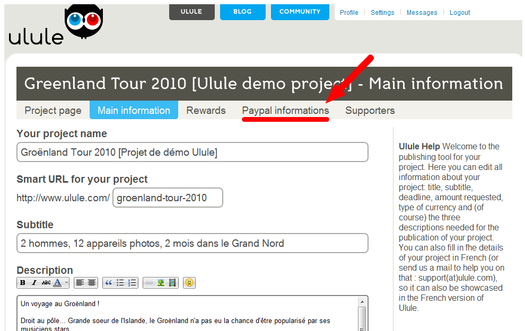 You need a Paypal account to open a project on Ulule, so create one on: direction Paypal.com. Now you arrive at the following page. 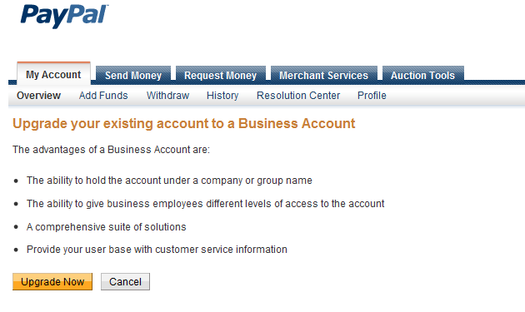 Open an individual account, then you continue to Premier or Business at the end. The familiar registration page awaits you: name, surname, address, the usual. 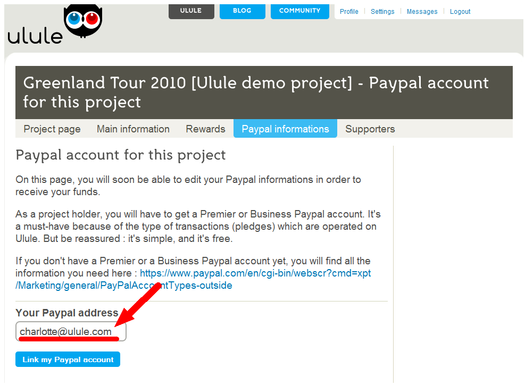 However, take note of something in particular: the email address you enter here will be the one you use to link your Paypal account on Ulule. 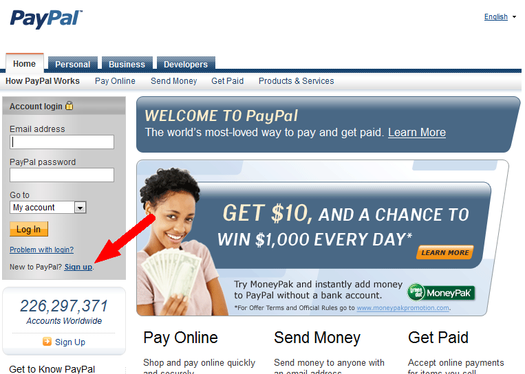 Once this page is validated, Paypal will send you a confirmation email. So, go check your mailbox! You’ll find this message there. 1/ Make sure you take note of your Paypal address, it’s the one you put on your project page so your supporter’s funds are transferred to you. 2/ Connect your bank account with your Paypal account, so that the funds are dispatched from there. Click on the Link now button and you’ll arrive at the next page. Ulule works on a principal of promises of donations. Your supporters will only be charged if your project reaches 100% funding by its deadline. 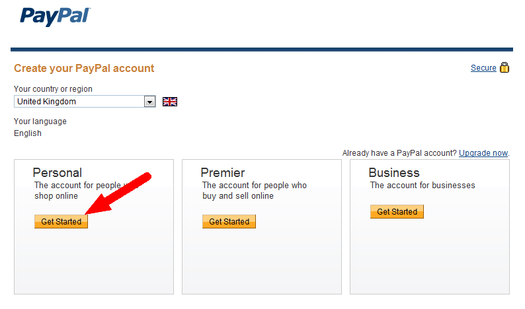 This system calls upon one of Paypal’s special functions, available only with Premier and Business accounts. In the same way, international payments require a special account. The complete list of special functions can be found here. But don’t worry, the upgrade can be done in 3 clicks and it’s completely free. Go to your account page or simply CLICK HERE (and jump to the following image). Click number 1: the big yellow button upgrades your account. 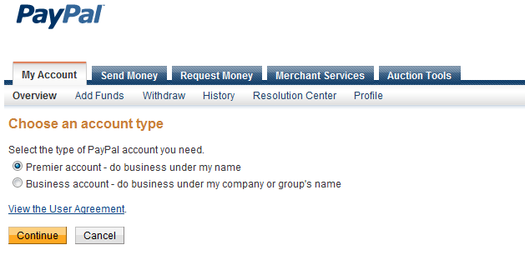 Click number 2: choose Premier or Business, according to whether you are an individual or a company. Click number 3: the big Continue button. 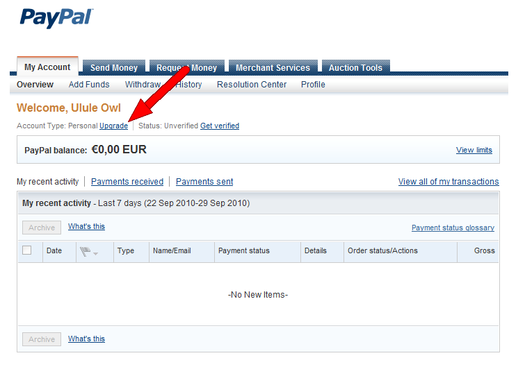 3/ Add your Paypal account to Ulule. OK, you have a premier or Business Paypal account. That was simple, right? 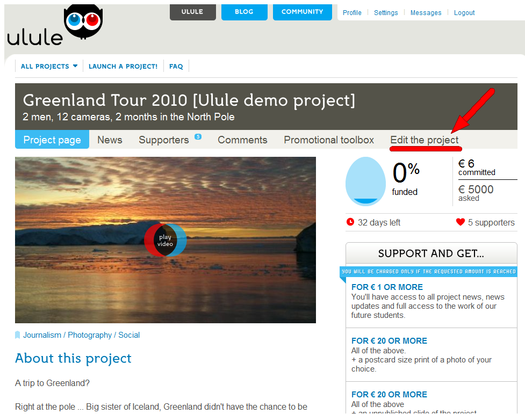 There’s one important step left: to link your Ulule project to your Paypal account. It’s on your project page that this happens, and you start by clicking on the editor. 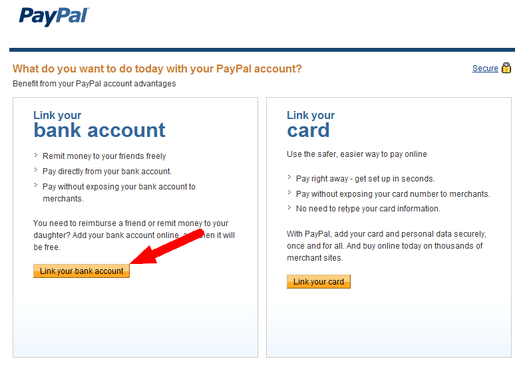 You’ll now come onto the page which links to Paypal. 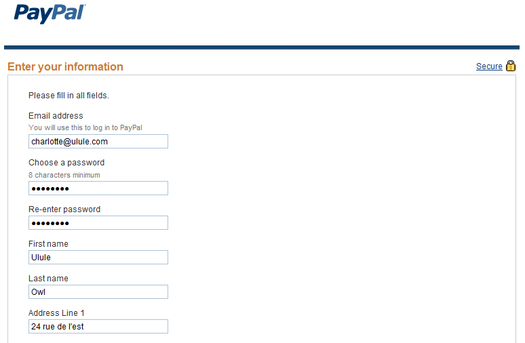 It’s here that you must enter your Paypal email address, the one you used at the beginning when you created the account. Fill in your email address in the required field. Don’t forget to click on the blue button: this message appears at the top of the page. And that’s it! Your project is connected to your Paypal account - congratulations! There’s only a couple of things left to do before launching your adventure: write an engaging description and create some awesome rewards. Of course; we are always there for you if you have any problems. Post a question on SOS Ulule! or send us an email.